Marley Eternit have over 100 years of roofing expertise and are widely recognised as one of the UK’s leading manufacturers of roofing systems. At the heart of this range are their iconic Marley roof tiles. These include both concrete and clay varieties. Marley Eternit also craft a range of high quality metal roofing sheets. These are ideal for various agricultural properties. Marley roof tiles can be found in a variety of finishes and colours. Marley also craft clay and concrete roof tiles in a choice of profiles. This allows you to get an iconic yet personalised roof tile for your property. Marley roof tiles also comply with various British Standards and are used on thousands of properties across the country. This highlights their incredible quality and versatility. Marley Eternit roofing materials combine proven manufacturing techniques with high quality materials. This provides you with roofing tiles and sheets that are ideal for a variety of projects. Marley roof tiles and sheets are also certain to match the aesthetics of your property and its surroundings. It is for this reason that they are a great alternative to Redland roof tiles. Roofing Megastore stock a great selection of Marley roofing materials. If you're in search of Marley roof tile prices or want to order, get in touch! You can speak to our team by telephone or via the online live chat. With over 40 years of experience in roofing, we'll help you order everything you will need for your upcoming project. 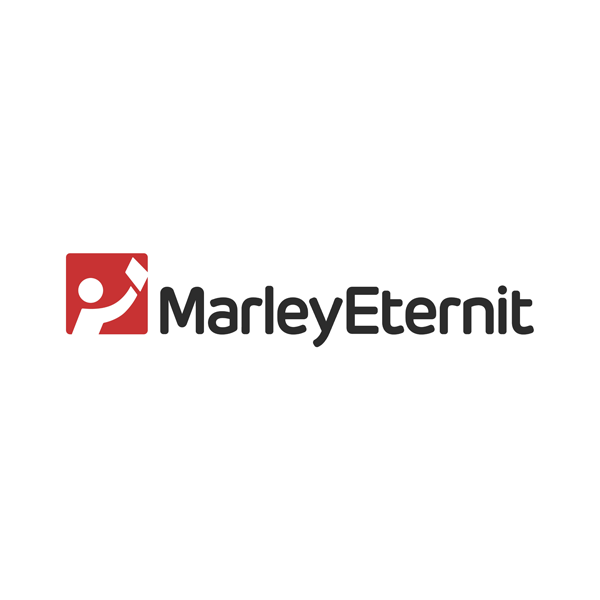 Marley Eternit are a leading manufacturer of roofing tiles and sheets, with their range of solutions being used on millions of properties throughout Europe. These combine the highest quality materials and proven manufacturing methods, which have been developed by Marley throughout the past 100 years. Beyond manufacturing the highest quality roofing materials, Marley Eternit share our passion for providing superb customer service. As evidence of this, they have been awarded the ServiceMark by the Institute of Customer Service. At the heart of Marley’s range are their concrete roof tiles. These are manufactured from a high quality formula, which typically consists of sand and cement. They then utilise unique manufacturing methods to maximise the durability of each tile. Marley Eternit also manufacture clay roof tiles, which share similarities with those that adorn thousands of aged properties throughout Europe. Much like their concrete roof tiles, Marley have utilised high quality natural clay when crafting their clay roof tiles. They have then utilised modern manufacturing techniques to ensure they offer fantastic longevity. Alongside Redland and Sandtoft, Marley Eternit have introduced a variety of popular profiles into the U.K. These include their large format Ludlow Major, minimalistic Plain Tile and iconic Double Roman. The wealth of profiles offered by Marley allows you to find the perfect match for your property. This is whether you’re looking to achieve the classic appearance of a low profile clay tile or industrial appearance of a large format concrete tile. These profiles do not only add a gorgeous twist to your property, but are integral to the strength of the tile itself. This is as the cambers used in Marley roof tiles prevent them from lifting and ensure they can withstand tough weather conditions. Marley Eternit tiles are available in a variety of gorgeous colours too. These include vibrant reds, aged browns and sleek greys. These have been formulated for virtually any roofing project, whether you’re renovating an existing property or designing a new build. Almost all colours are available in either a granular or smooth variety too. This allows you to personalise your properties outer appearance further, whatever your taste or properties architecture. If you’re in search of Marley roof tiles, you’re in the right place! With almost every profile and colour available, you’re sure to find the perfect roof tile for your project at Roofing Megastore. With reductions on all concrete and clay roof tiles, you’ll make mega savings on too. Browse our full range of Marley Eternit roof tiles online. This includes their concrete and clay tiles, which consist of various iconic profiles. If you have more questions about Marley roof tiles, speak to our team online or by telephone!